Clearly, succeeding in business is an art form. We’ve informally labelled activities and pursuits as “the art of management,” “the art of marketing” or even “the art of doing more with less,” but we’ve rarely made the direct connection between the two worlds. With a rapidly changing digital economy, new and emerging technologies, increased clutter and a drastically altered media landscape, successful companies are those that are original, creative and innovative. Defining business as art is now a credible school of thought, and the lessons are far more practical than philosophical. 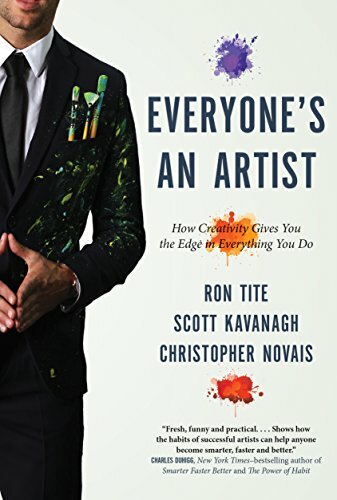 Everyone’s an Artist shows how and why the most successful executives and entrepreneurs think like artists.